7.5"x8.5"x1/4"-Origin'L Fabric® Fabric Surface Mouse Pads are now ANTIMICROBIAL! These thick, premium mousepads are a great for gifts, events, meetings, tradeshows & more. Decorate your desk with a vibrant Origin'L Fabric 7.5"x8.5"x1/4" Mouse Pad at your work station or home office. 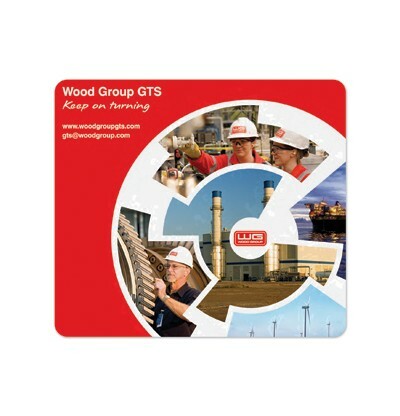 This thick mousepad will sit on your desk without sliding and is a great canvas for your business logo or image. This antimicrobial mousepad makes a great giveaway for new employees, trade shows, events, and your next promotional campaign.